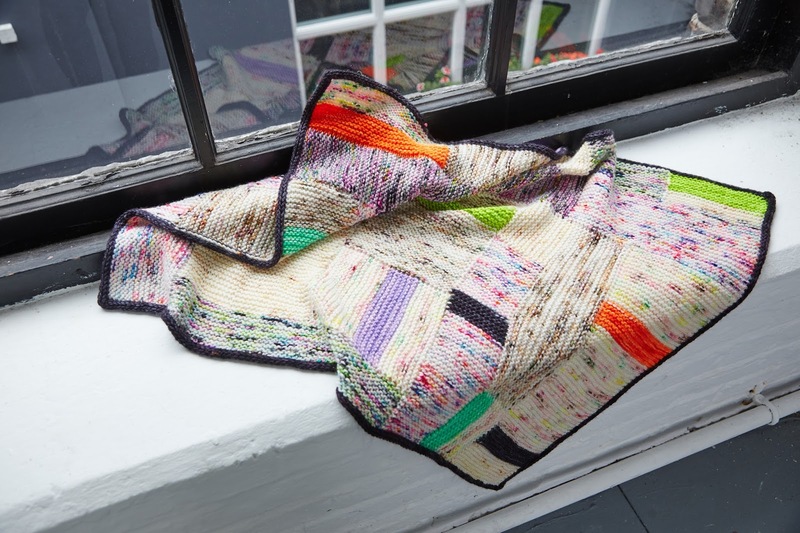 Started weaving with plant dyed yarn. Purple yarn dyed with logwood. 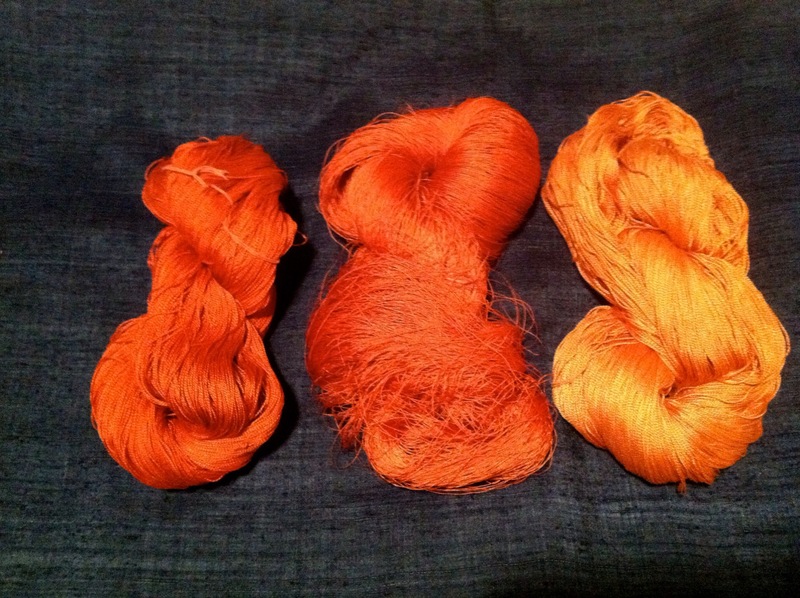 Red/orange yarn dyed with madder root in different concentrations. Yellow yarn dyed with cytisus scoparius (in Danish gyvel). The blue/light purple weft dyed with logwood. Tie-dyed yarn . At the right, first dyed with madder root, the left first dyed with bark from appletree. Both over-dyed with logwood. Cut of finished dishclothes, now waiting for my personal seamstress (my mother) to be available.